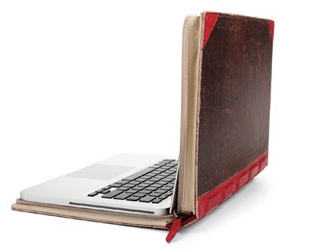 How charming are these laptop covers? Mac book pro + vintage book covers = Two of my favorite things. Each BookBook is brought to life with hand craftsmanship and distressing, ensuring no two are exactly alike. This charming case can be yours for only $79.99.